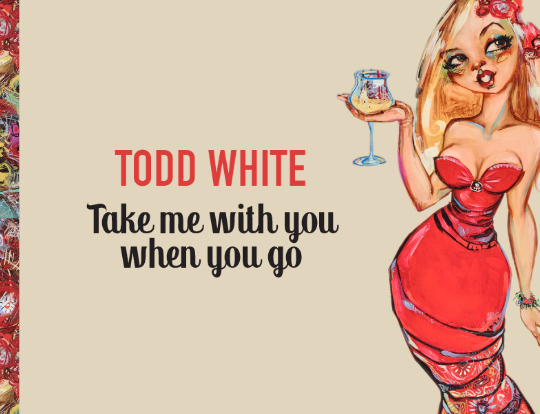 Todd’s stunning and stylish new showstopper features a classic femme fatale who demonstrates exactly why he has become one of the world’s most sought-after contemporary artists. His stylish, avant-garde figurative work represents his highly personal take on lifestyle, body language and expressions. So when this high-impact figurative piece asks if you will “take me with you when you go” – how can you resist?